A neighbour of mine was a survivor of this – it haunted her for years. Doesn’t bear thinking about what survivors of something as traumatic as this went through. A similar experience was relayed on Twitter by the son of someone who worked at Hither Green Station. My late brother was an engine driver based at Hither Green and he was on duty waiting for his shift when the accident happened. He was sent to help with no training as to the horror he would encounter and had nightmares for years. He had to take early retirement eventually from a job he dearly loved because of his anxiety due to disturbed sleep. As many shift workers will know, a disrupted sleep pattern as experienced by goods train drivers is bad enough without the recurring nightmares. The southern region network might not be too happy for today’s passengers to be reminded of the failure of the rail but if families of those killed wanted a memorial there could surely be a place found for one. It seems that a lot of people who helped with the aftermath got little or support to cope and come to terms with what they had witnessed. I suspect that as a society we are slightly better with these issues 50 years on. Thanks for visiting and posting. 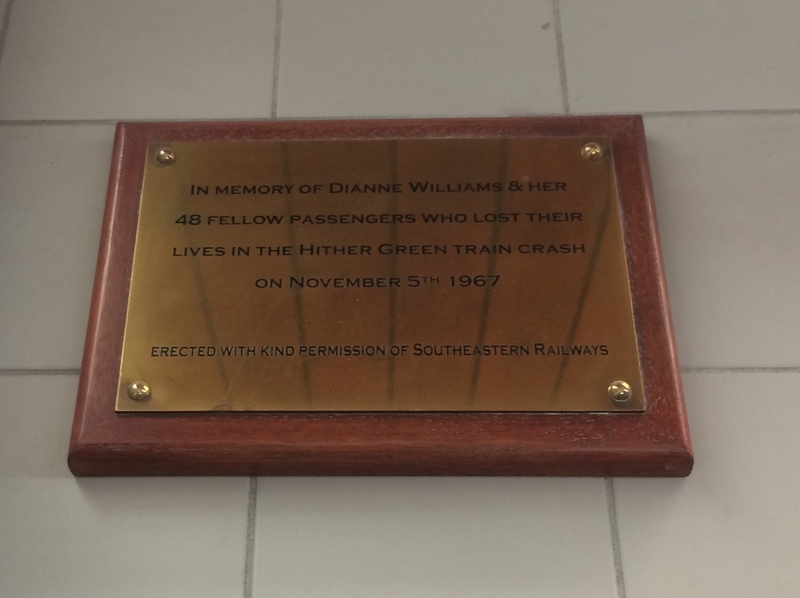 We are having a 50th anniversary memorial service of the Hither Green Rail Crash at St Mildred’s Church, Lee (www.stmildreds.org.uk) on Sunday 5th November at 3pm. 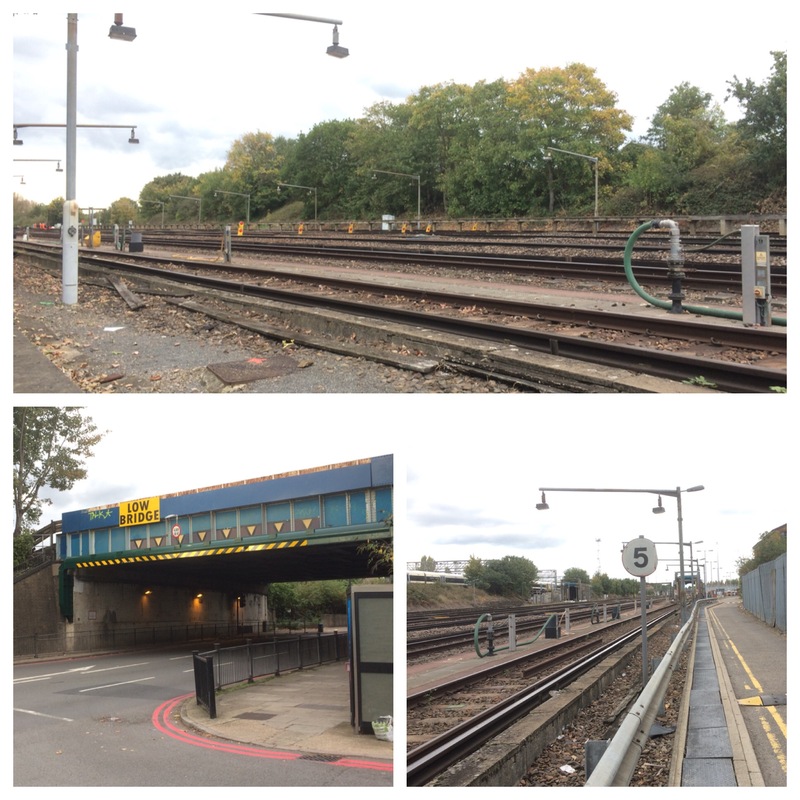 There will also be a commemoration at 12:30pm the same day at Hither Green Station. A devastating story compassionately told, and thoroughly researched as always. I still remember a report and a photo of this horrible accident reaching our morning newspaper in Melbourne, Australia. Entirely another side of ‘bonfire night’. Thank you – that’s really kind. I am a relative newcomer to the area but I remember crash – it was perhaps, the first event of this type that I saw on television when I was an age that I began to understand the full horror of what I was seeing. We lost my beautiful aunt in this dreadful crash, my family were devastated. It must have been a difficult time for your family, and all the other 44 families who lost loved ones. Who was your aunt Kate? What a well written piece. Are you going to write about the Lewisham rail crash of 1957? Thank you – that’s kind of you to say. I originally hadn’t intended to write about the Lewisham crash as it is a little outside the area I normally cover. But several have asked and it is important that the anniversary is remembered and I know that a post here will help a little with that so I will try to find time for a post on it.